Is it dressy enough for teddy bear tea parties? Definitely. Does it have the right level of comfort for bouncing through a soft-play session? Absolutely. 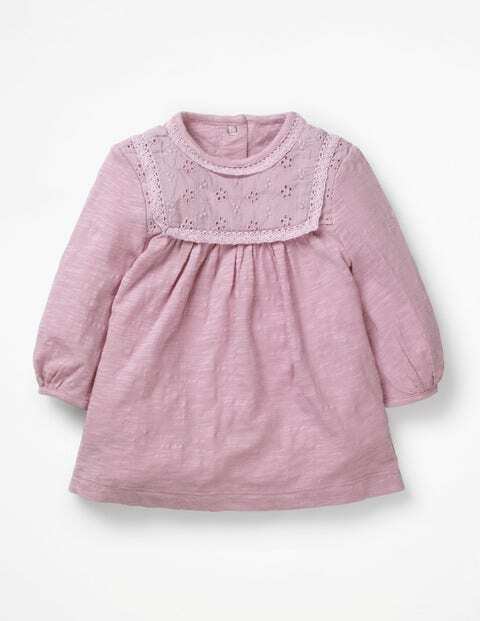 This long-sleeved dress with broderie detail is made for babies on the go. The soft slub cotton also has poppers down the back for easy changes.